Thanks to Saving Lives ambassadors Jack Butland of Stoke City and England, Wayne Hennessey of Crystal Palace and Wales, Carl Ikeme of Wolverhampton Wanderers, Saving Lives Patron Matt Murray and Carly Telford of Notts County Ladies and England: they’ve agreed to support TakeATestUK as another great way to reduce stigma and get people tested for HIV. One in five of those with HIV in the UK do not know they are infected – and that means they could get much sicker than necessary. Early diagnosis of HIV is associated with much better health outcomes – today’s medicines mean people can live full and long lives with HIV. 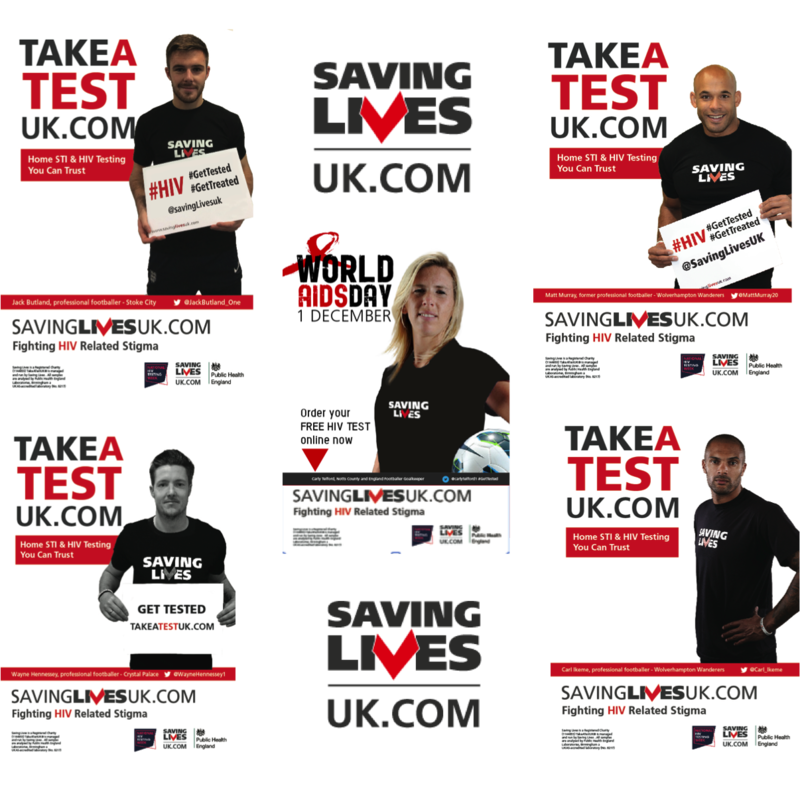 There’s no reason not to take a simple HIV test in the comfort and privacy of your own home – and we’re proud that the Saving Lives ambassadors agree with us!